The Most Rev. Frederick James Hiltz, Archbishop of the Anglican Church of Canada. Archbishop Fred Hiltz was born in 1953 and reared in Dartmouth, Nova Scotia. Educated at Dalhousie University, he trained for the ministry at the Atlantic School of Theology receiving a Master of Divinity degree in 1978. He was ordained deacon on 3 June 1977, and priest on 29 June 1978 for the Diocese of Nova Scotia and Prince Edward Island. Following ordination he served from 1978 to 1984 in rural churches in the diocese in Sydney, Melford-Guysborough, and Timberlea-Lakeside. From 1984 to 1988 he served as assistant priest at the Cathedral Church of All Saints, Halifax and from 1987 to 1988 he also served as director of the Anglican Formation Program at the Atlantic School of Theology. In 1988 he was appointed as rector of the St. John’s Anglican Church in Lunenburg, and was elected suffragan in 1994 and diocesan bishop of Nova Scotia and Prince Edward Island in 2002. 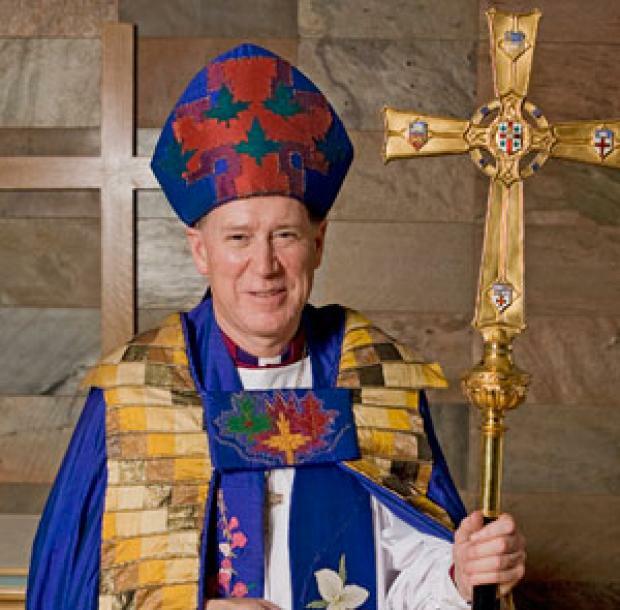 Archbishop Hiltz was elected Primate of the Anglican Church of Canada in succession to Archbishop Andrew Hutchinson on 22 June 2007, and installed as the church’s 13th primate on 25 June 2007. He is married to Lynne Samways Hiltz and they have one son, Nathan, a musician.